Dylon are giving away free samples of its Colour Catcher sheets. Its very handy and you just need to put this sheet into your mixed colours load to stop the colours running! Enter your details on the linked page to get your free sample. Yorkshire Tea are giving away FREE tea bags! All you have to do is sign up to their newsletter. Enter your details in the short form on the linked page and you'll get regular updates via email and free tea bags. You can get lots of free printable practise worksheets as well SAT practise worksheets on this amazing site. Project Gutenberg offers over 58,000 free eBooks, including free epub and Kindle eBooks. Users can download them or read them online. Users can find the world's great literature here, with focus on older works for which U.S. copyright has expired. What's more? No fee or registration is required. Everything from Project Gutenberg is completely without cost to readers. Netmums have teamed up with Heinz and are giving away 600 new tomato ketchup, if you are a mom and have any kids aged 5-11 years, you can apply to test this new product. Click on the linked page and complete your details in the form for your chance to receive a sample in the post. Get a free sample of CERELAC® infant cereal. You will need to register for an account and login, and then enter your details in the form to receive your sample. Natvia sweetener is 100% natural, and they are giving away free samples of their sweeteners. Click on the linked page, and enter your details on the form. Tesco’s ground-breaking ‘Free Fruit for Kids’ initiative has proved a real hit with children and parents, with over 50 million pieces of free fruit given to children since the programme launched almost two years ago. Tesco are giving away free fruit for kids at participating Tesco stores. 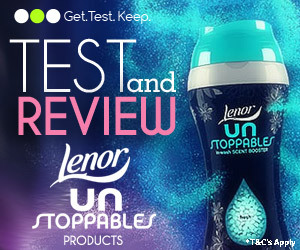 Get a free bottle of Lenor "Unstoppables" Laundry Scent Boosting Beads! Simply enter for your chance to become a product tester for Leonor Products and if selected, you will get one via post! Get Test Keep want to give you £50 worth of Leonor Products to try and keep! My Perfect CV takes the hassle out of writing your CV. Easy prompts help you create the perfect job-worthy CV effortlessly! You can create a free account and start making your perfect CV. Having a baby is expensive! 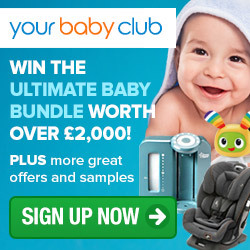 Your Baby Club are running a competition, and one lucky participant will win a HUGE prize bundle to ease the pain! A competition to surpass anything done before! Simply click on the linked page and enter your details for your chance to win! Do you have a fungal nail infection or thicken nails? You could paricipate in the3 month fungal nail treatment product trial with Talkhealth. If you are chosen to take part, you will get 3 month's supply of fungal nail treatment. You will also be sent a short questionnaire to complete before you start to use the product as well as a questionnaire for each month you are using the product. Once the product trial has finished, all participants who have completed the trial in full will be entered into a prize draw to win 1 of 3 x £25 Amazon vouchers. Try Molton Brown NEW Russian Leather fragrance with a FREE 30ml Shower Gel and exclusive temporary scented tattoos. To get yours, simply click on the linked page, and then click signup. Enter your details for your chance to get your free bottle. Sn-ap are giving away free return coach journeys; just visit their website and enter your details and they will email you a discound code. The discount code can be used to get a free coach trip (worth £20). Schär are offering a FREE information pack, which contains information about the diet, low FODMAP recipe cards, a helpful guide to low FODMAP foods, and a mini product guide. Enter your details on the linked page to request your low FODMAP pack.